1. She was born Camilla Rosemary Shand on July 17, 1947. She was the first of the three children of Major Bruce Shand and Rosalind Cubitt. 3. Her classmates at South Kensington’s Queens Gate School fondly called her “Milla”. Highly revered Offshore author Penelope Fitzgerald, who became Camilla’s French teacher at the said school, described her as “bright and lively”. 4. After graduating from Tolochenaz, Switzerland’s Mon Fertile finishing school, she travelled to France to further her knowledge on the French language and literature, attending University of London Institute in Paris for six months. 5. Camilla was first introduced to the British society on March 25th 1965 as a debutante. It was the night she met her first husband, a Blues and Royals lieutenant named Andrew Parker Bowles. The gentleman was seven years her senior, and was known to date multiple ladies at once, a habit of which the future duchess was fully aware. 6. The 26-year-old Camilla married 33-year-old Andrew on July 4, 1973 at London’s Guards Chapel, Wellington Barracks, this after quite a tumultuous, on-and-off courtship. The union produced two children—food writer and critic Thomas Henry Charles and Laura Rose. 7. Camilla first met Prince Charles at a polo match in 1971, two years before tying the knot with her first husband. They were introduced by the latter’s then girlfriend, Lucia Santa Cruz. The two began dating soon after, but Charles had to leave for eight months to serve for the Royal Navy. By the time he returned from duty, Camilla was already betrothed to Andrew. 8. When he received news of Camilla’s engagement to Andrew, Prince Charles wrote to Lord Mountbatten: "I suppose the feeling of emptiness will pass eventually." 9. 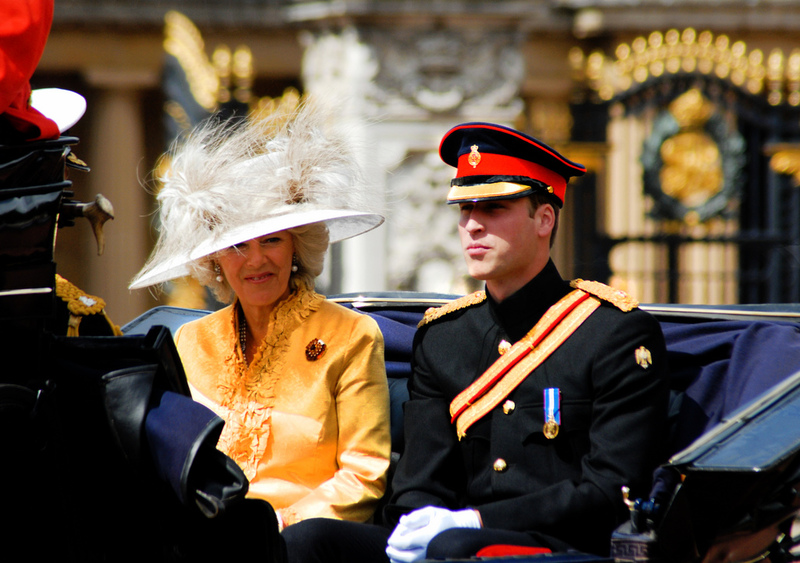 A vast majority of royal biographers acquiesce on the theory that even if Charles and Camilla decided to marry the first time around, it still would not have been possible as the palace did not see Camilla as a worthy wife for the future king. 10. It was after the assassination of Lord Mountbatten by the Irish Republican Army in 1979 that Charles purportedly found comfort in Camilla. The two allegedly rekindled their romance in 1980, a year before Charles married Diana and while Camilla was still married to Andrew. 11. The Charles and Camilla affair only became public knowledge after the 1992 publication of Diana: Her True Story, and the 1993 leakage of the two lovers’ intimate phone conversations, which has been infamously known as the Camillagate scandal. 12. In a televised interview with Jonathan Dimbleby in 1994, Charles finally opened up about her relationship with Camilla. It was the first time the prince ever spoke about her. 13. Camilla and Andrew filed for divorced in January 1995 after 21 years of marriage. It was finalized March of the same year. Charles and Diana divorced the following year. 14. Charles and Camilla made their first public appearance together at a party at London’s Ritz Hotel in 1999. There were at least 200 photographers waiting outside the hotel, waiting to take a snap of the couple. 15. Camilla never met the Queen until 2001, when both were attendees during the 6oth birthday of Constantine II, former King of Greece. The following year, the Queen personally invited Camilla to join the royal family in celebrating the Golden Jubilee. 16. Charles and Camilla announced their engagement on February 10, 2005. The ring consists a square-cut diamond that has three diamond baguettes on each side, and it was reportedly given to Queen Elizabeth The Queen Mother when she gave birth to Queen Elizabeth II. 17. Charles and Camilla wedded on April 9, 2005 in a civil ceremony held at the Windsor Guildhall’s town hall. The two were supposed to be married the day prior at the Windsor Castle, however the said venue did not have the license for civil marriages. 18. Her being the Duchess of Cornwall makes her the second highest ranking woman—next to the Queen—in the United Kingdom Order of Precedence and sixth overall. The rankings, however, is believed to have been altered by the Queen especially for private occasions, wherein Camilla comes fourth right after Her Majesty The Queen, the Princess Royal, and Princess Alexandra. 19. Camilla, Charles and the late Diana share ancestry dating back to King Charles II.